10 Piece Baby's Headbands For Only $5.85 Shipped! You are here: Home / Great Deals / Amazon Deals / 10 Piece Baby’s Headbands For Only $5.85 Shipped! 10 Piece Baby’s Headbands For Only $5.85 Shipped! If you love the look of these adorable flower headbands on your baby girl, you need to get this deal! 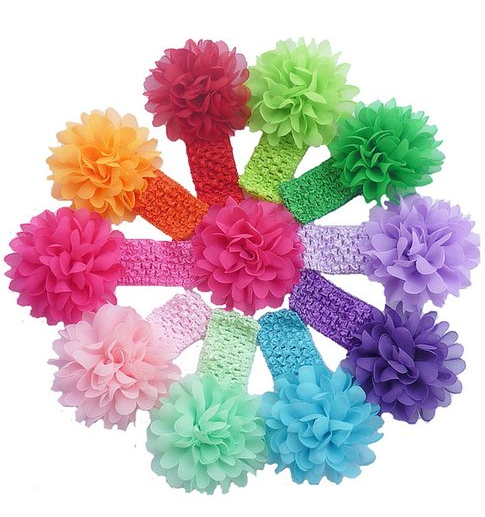 Get this 10 Piece Baby’s Headbands For Only $5.85 Shipped! Now you can have one for each outfit! This makes them around 60 cents each! What a great deal!